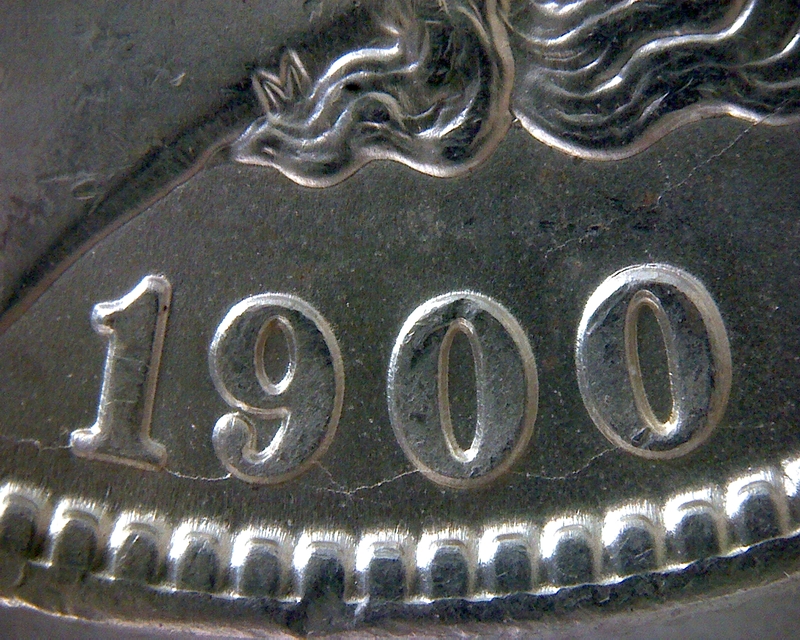 Comments: All 3 coins are Double Clashed. 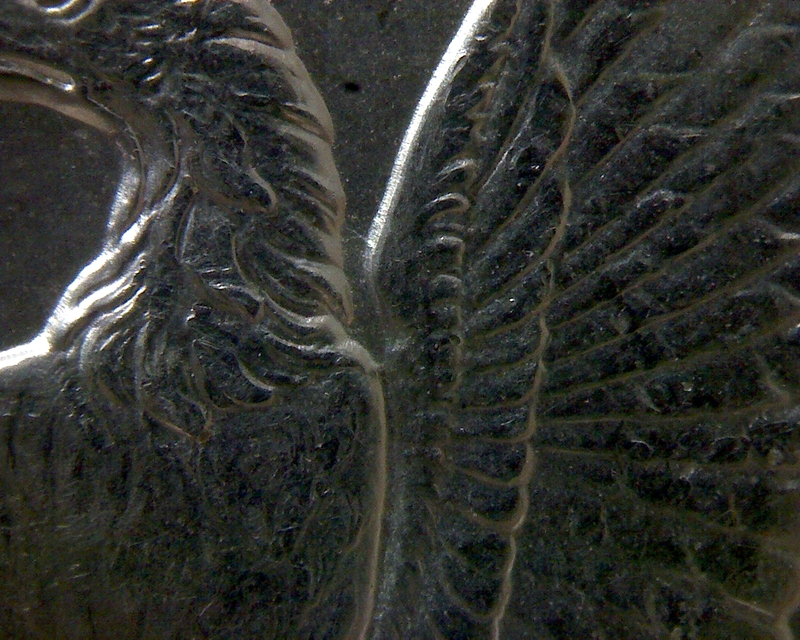 Click on a photograph to enlarge. 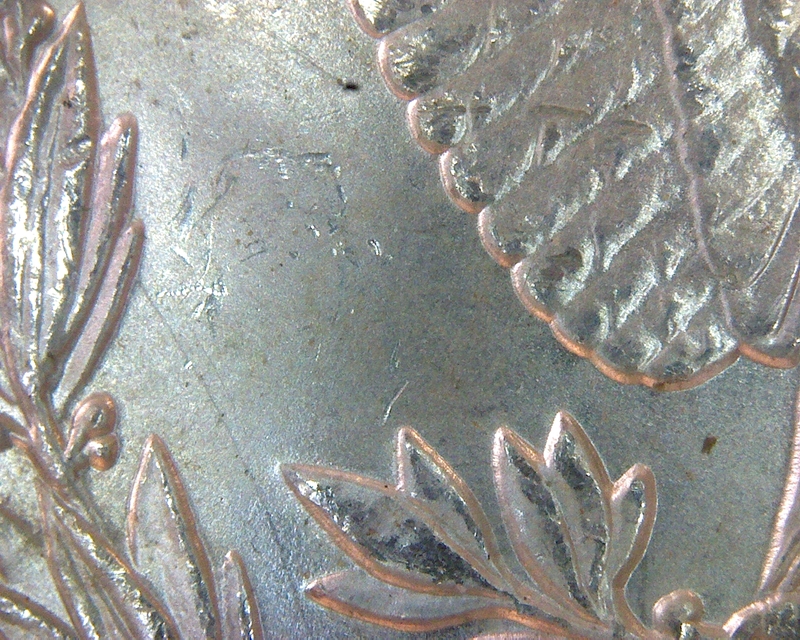 Then click on an area of interest for maximum detail. 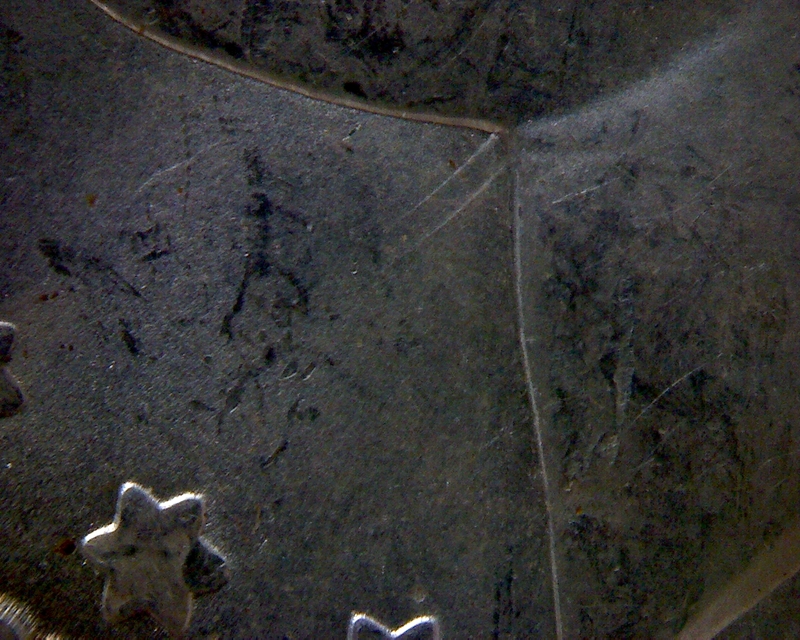 Click "back" to return. 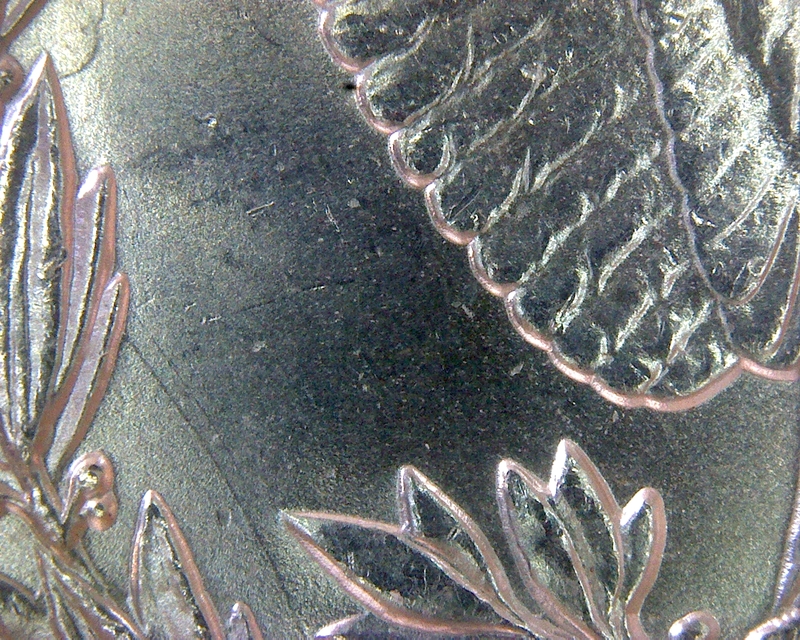 Header titles are linked to the topic page for each coin. 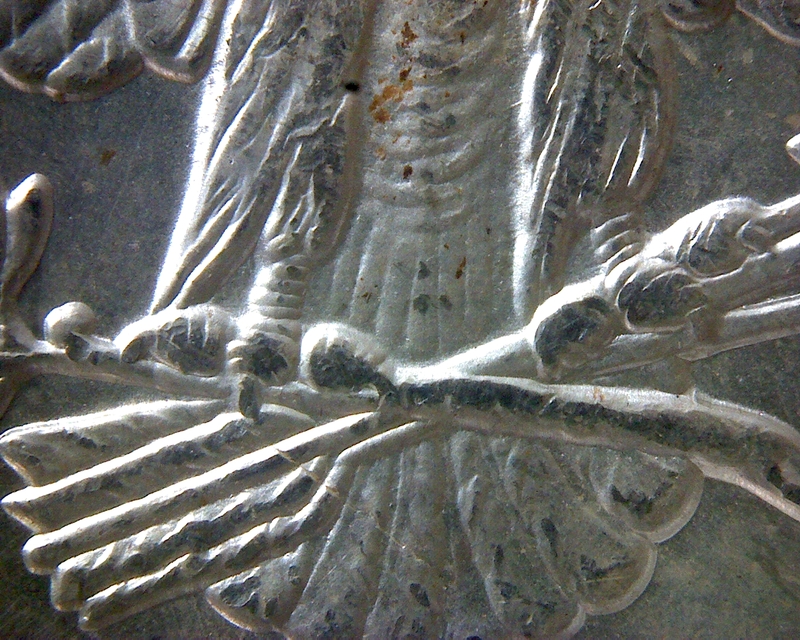 Attributed near date. 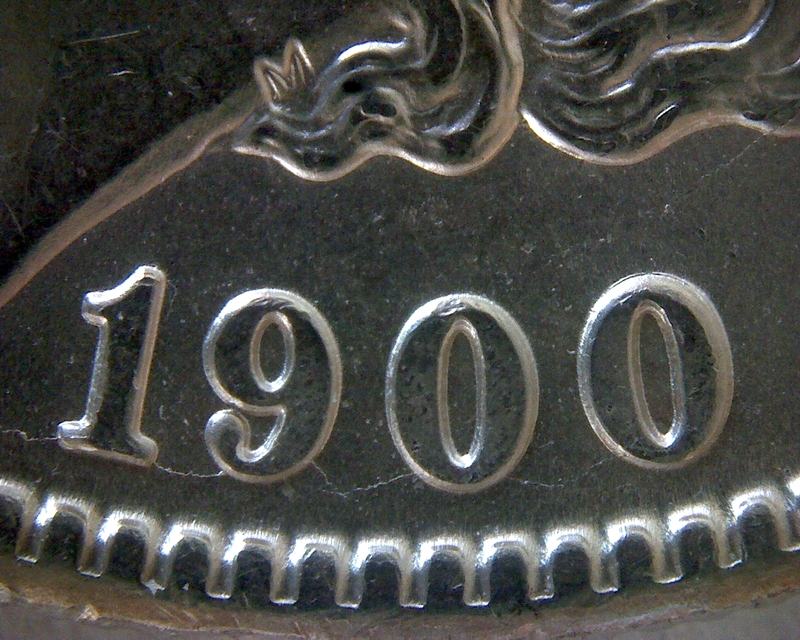 Attributed doubling of the date at the top inside loops of 900 and upper outside second 0. 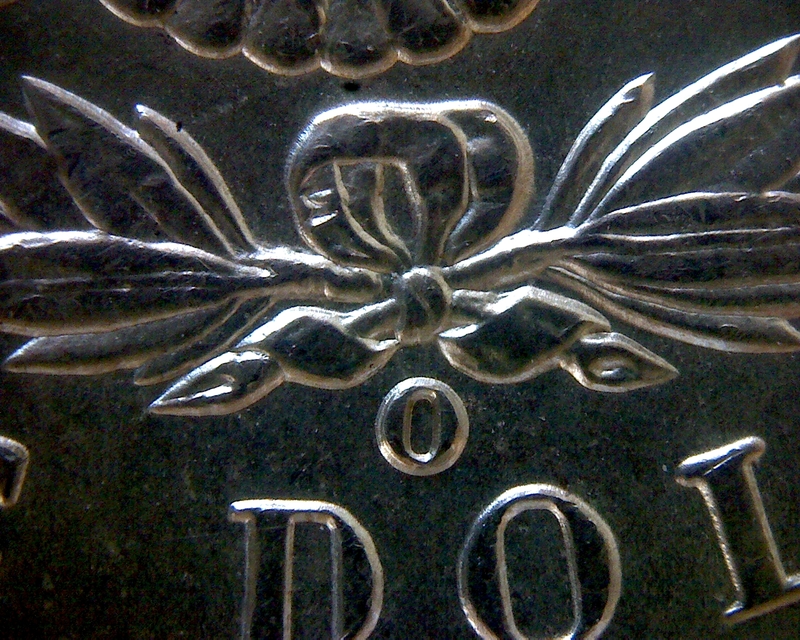 Divergent cracks between the bottom of the 9 and 0 form a "bow tie." 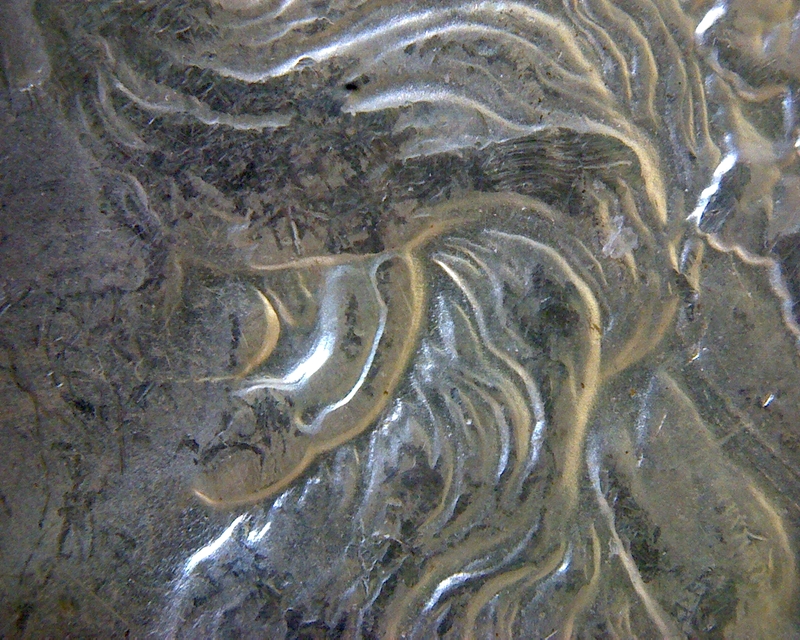 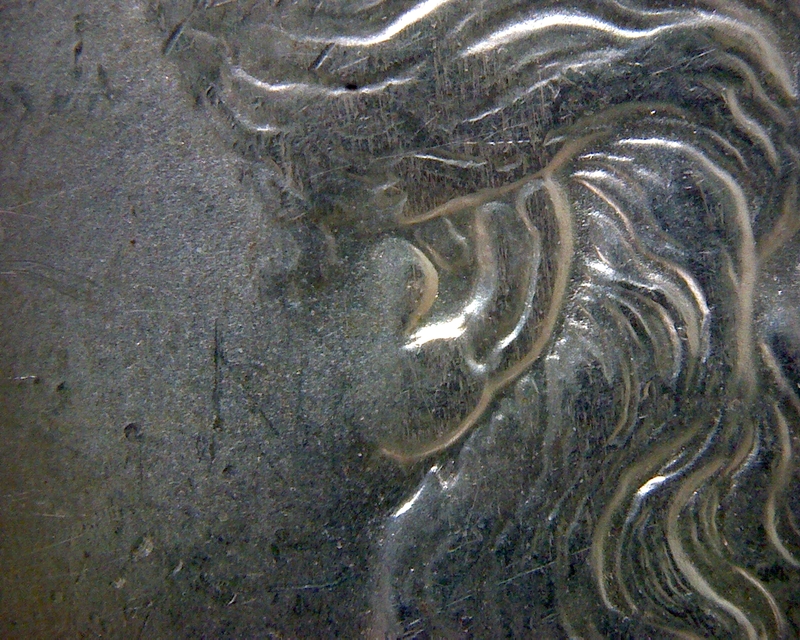 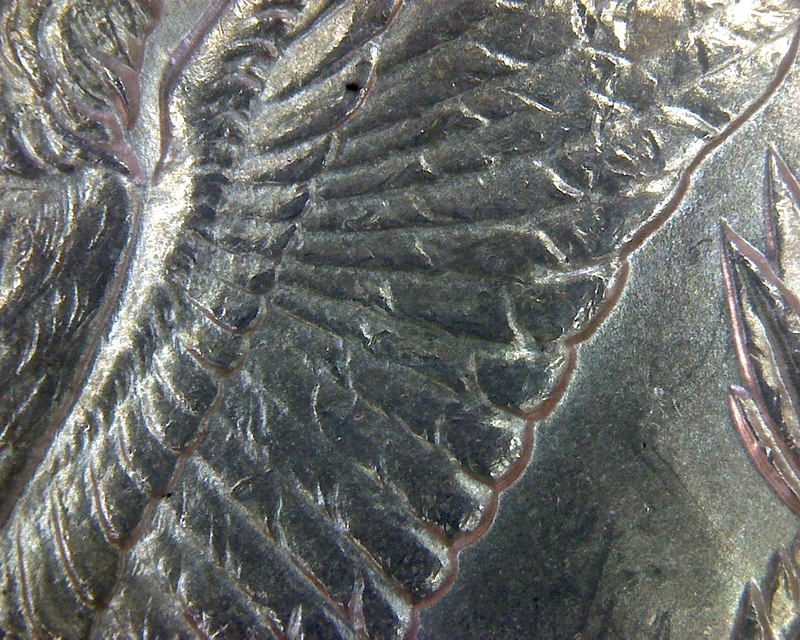 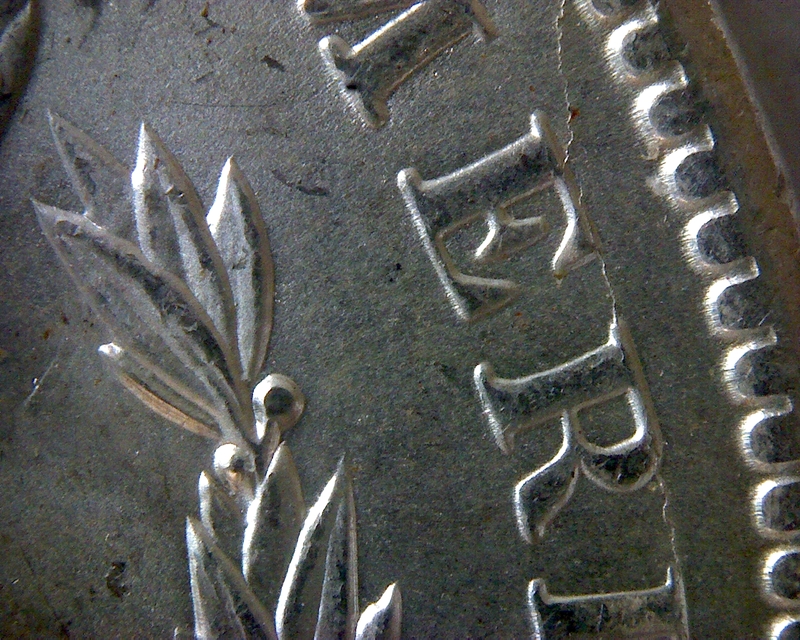 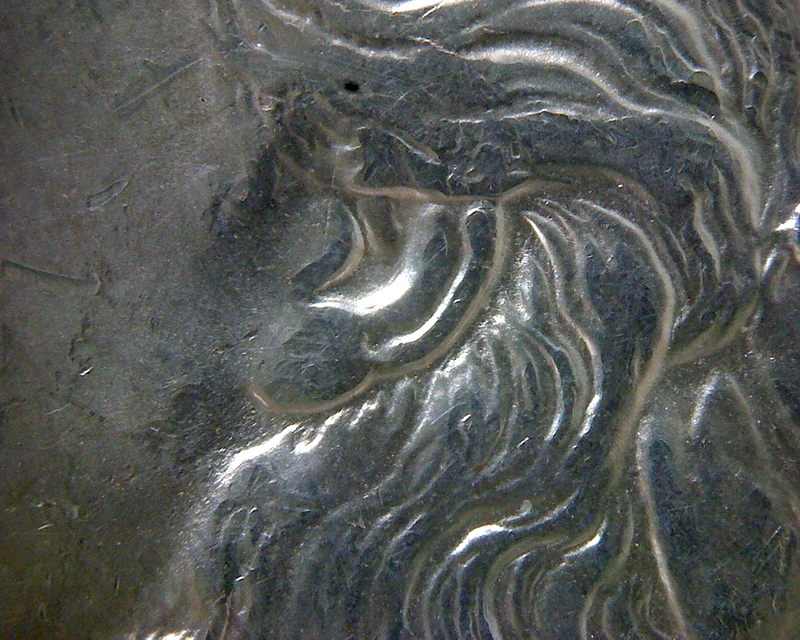 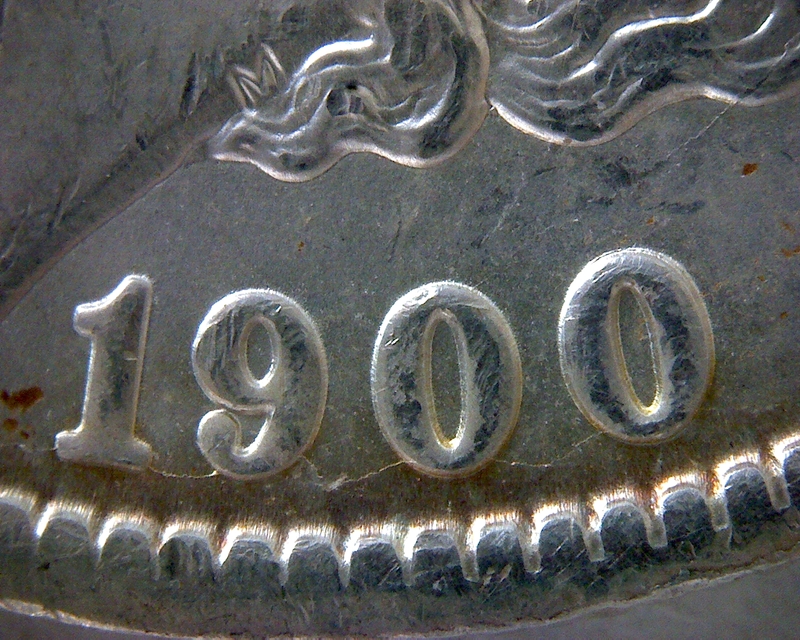 The uniformity of cracks for each coin suggest that they were minted within a relatively narrow time frame. 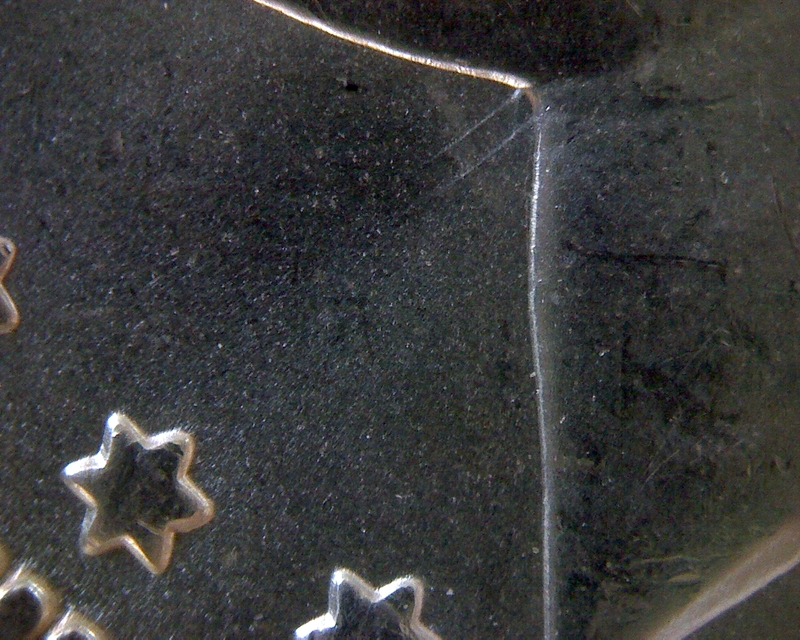 Nonetheless, the size and shape of the gaps between denticles suggest that the order of minting within the die state may have been 0916 - 2016 - 1716. 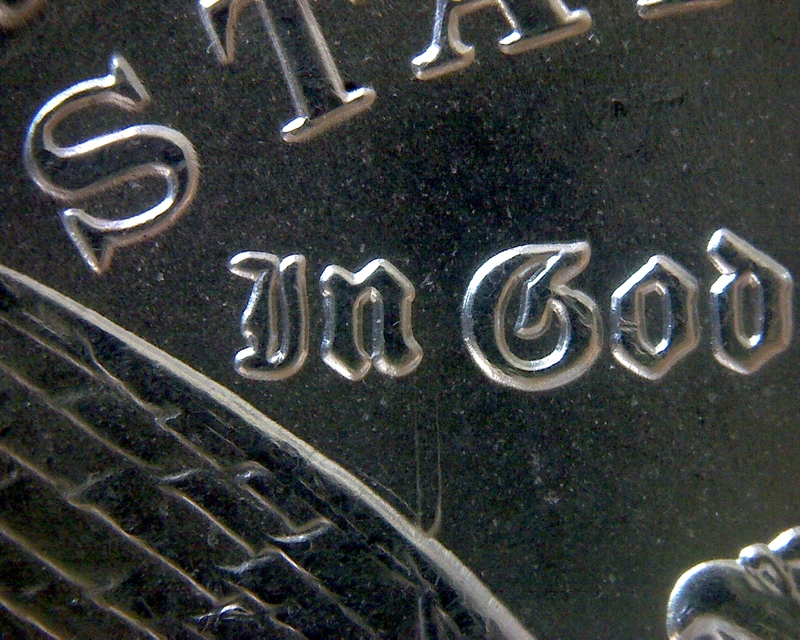 A prominent vertical line passes through the lower right serif of the L.
The lower and back walls at the inside of the ear are doubled. 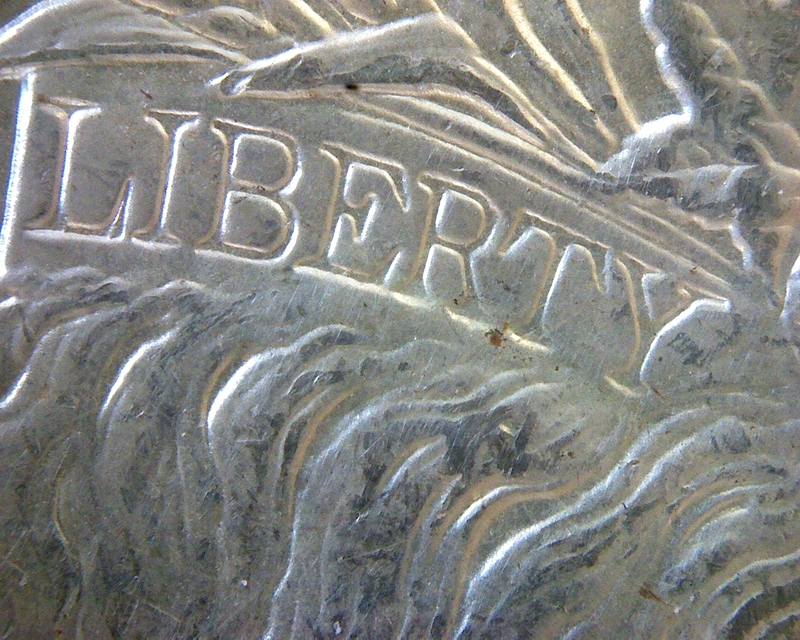 Attributed clashed "n" of the motto "In God we trust." 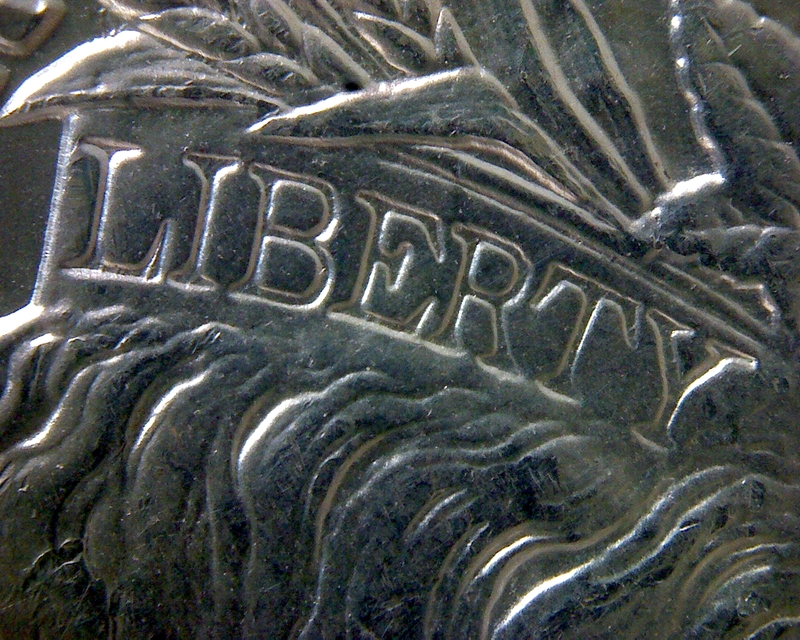 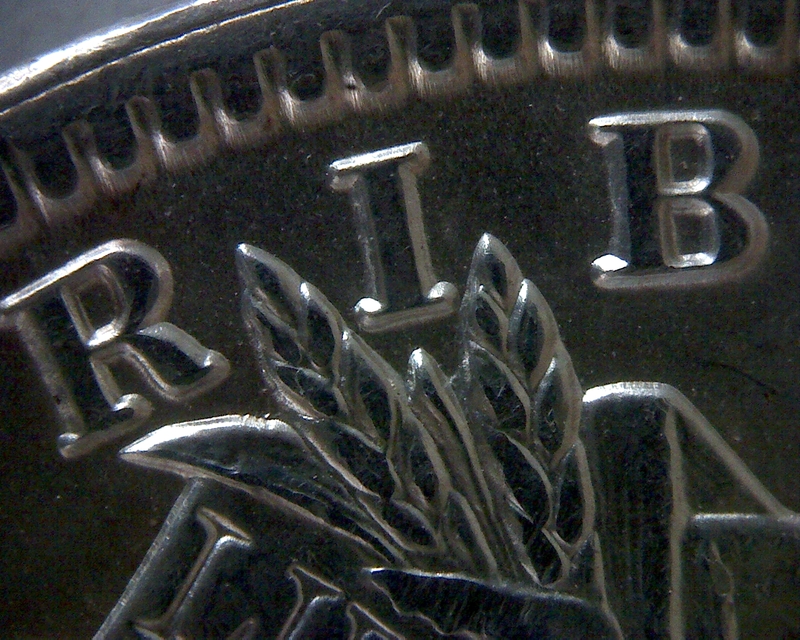 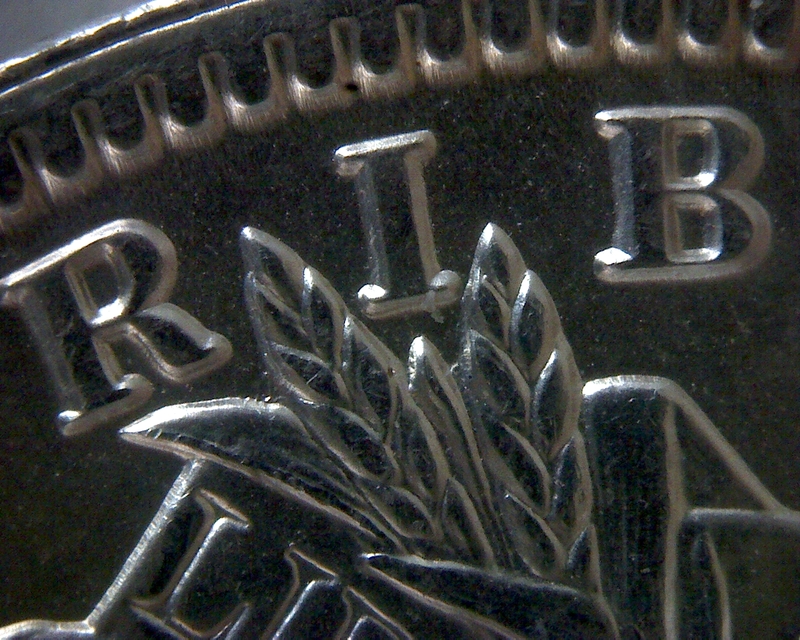 A clashed "n" is most visible on coin 2016. 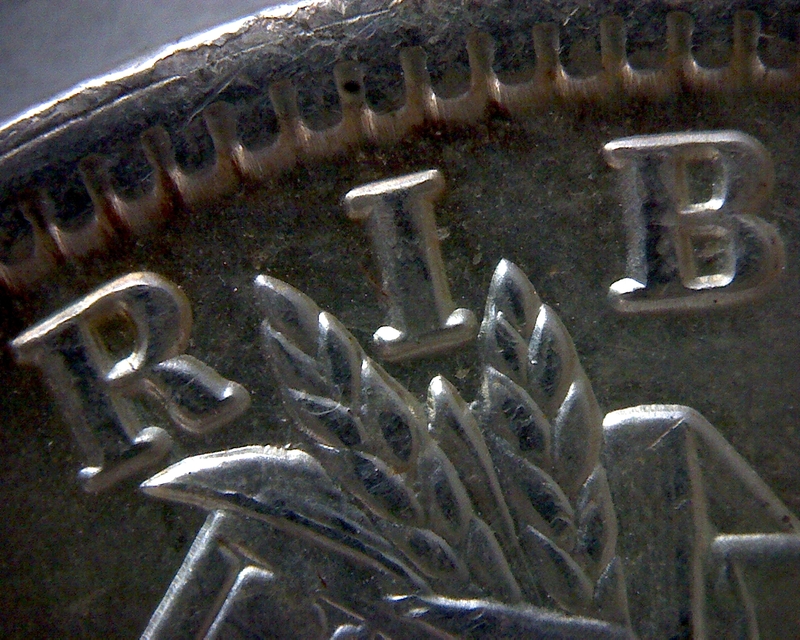 The 35A clashed "n" is weaker for the double clashed stage than for the single clashed stage. 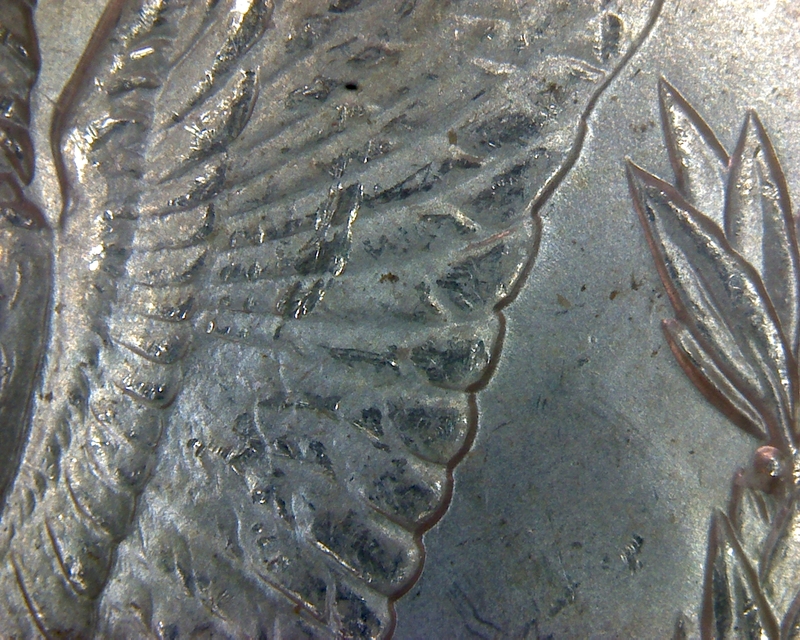 Beveling or sinking of the field along the denticles. 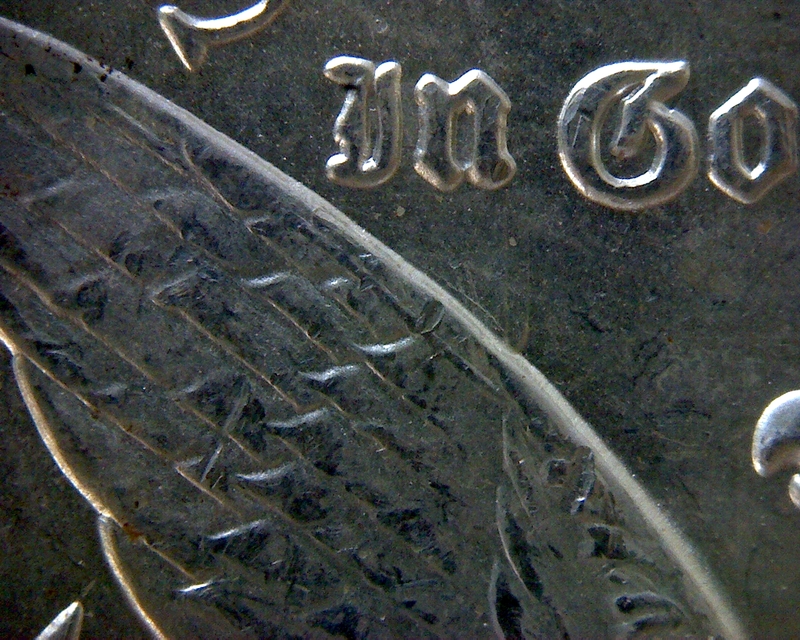 The size and shape of the denticle gaps along RIB are nearly uniform and, thus, provide little information about mintage order. 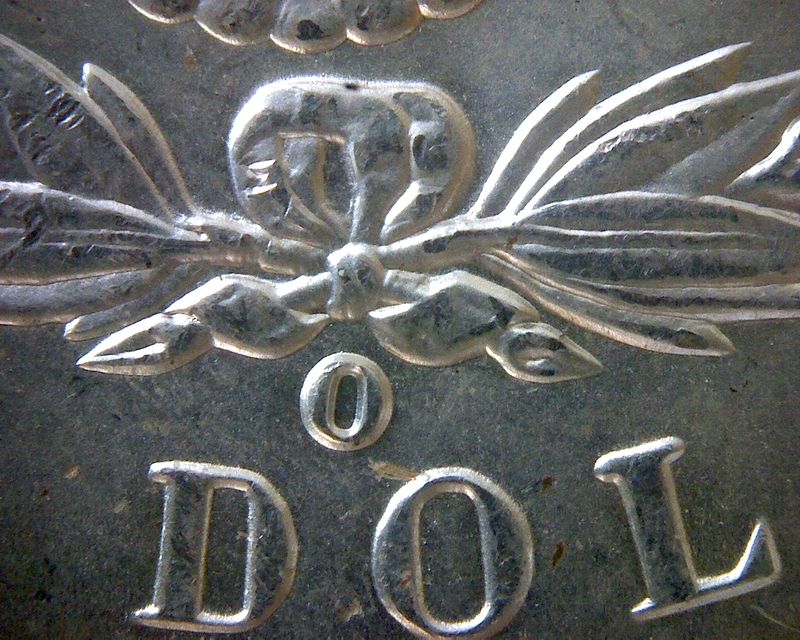 Attributed high placement of the mint mark. 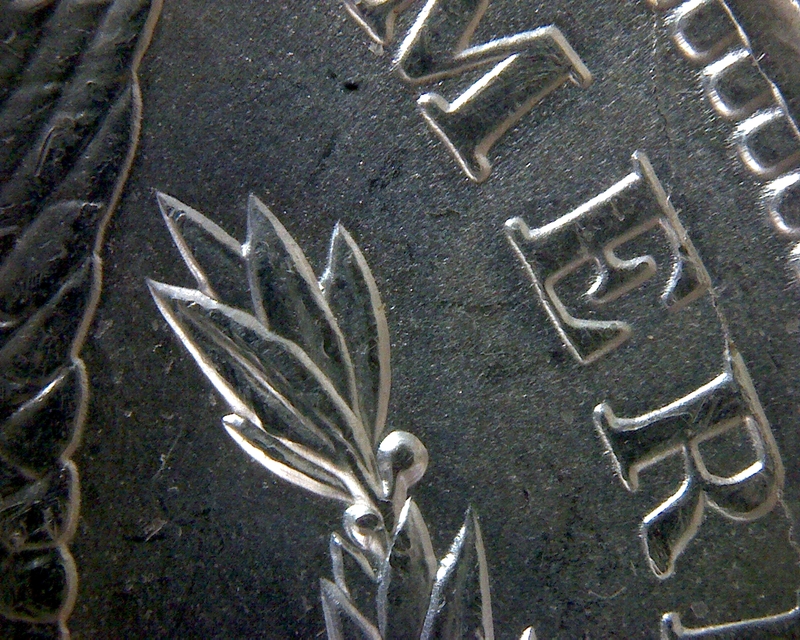 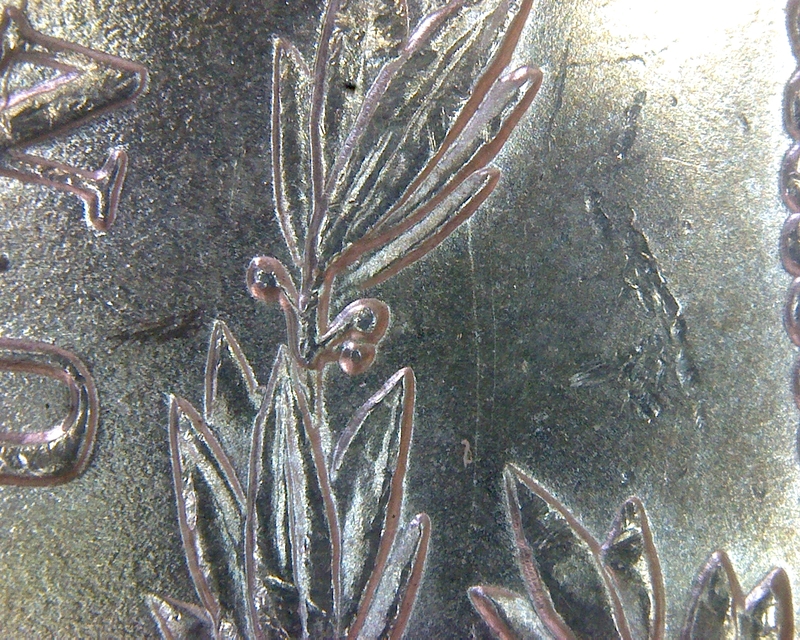 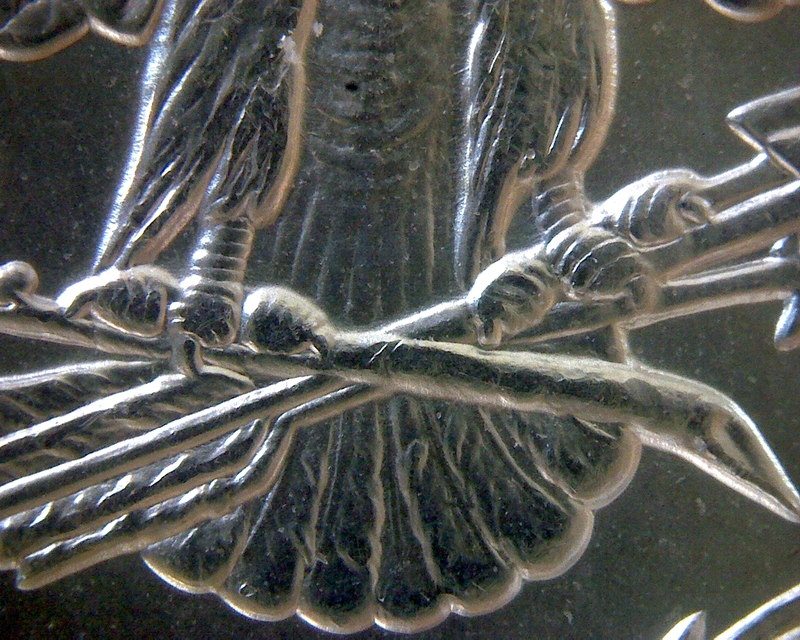 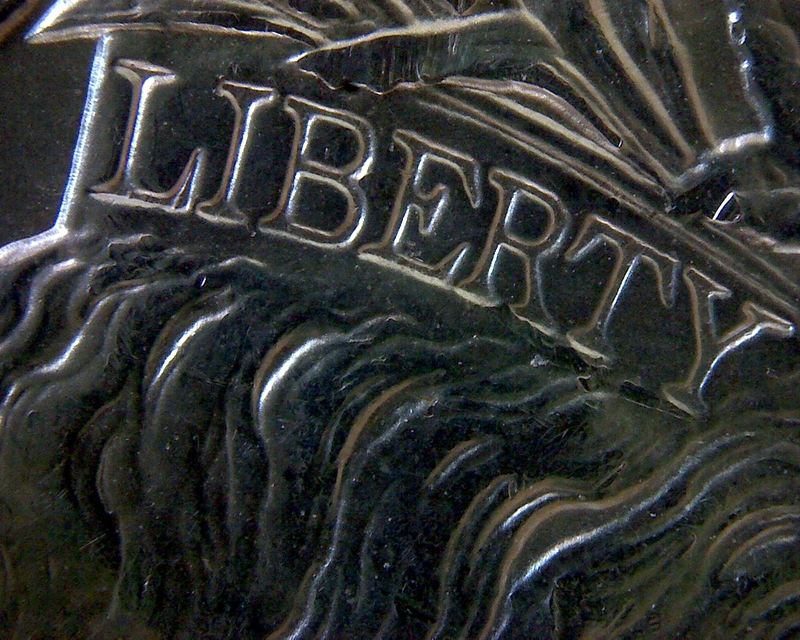 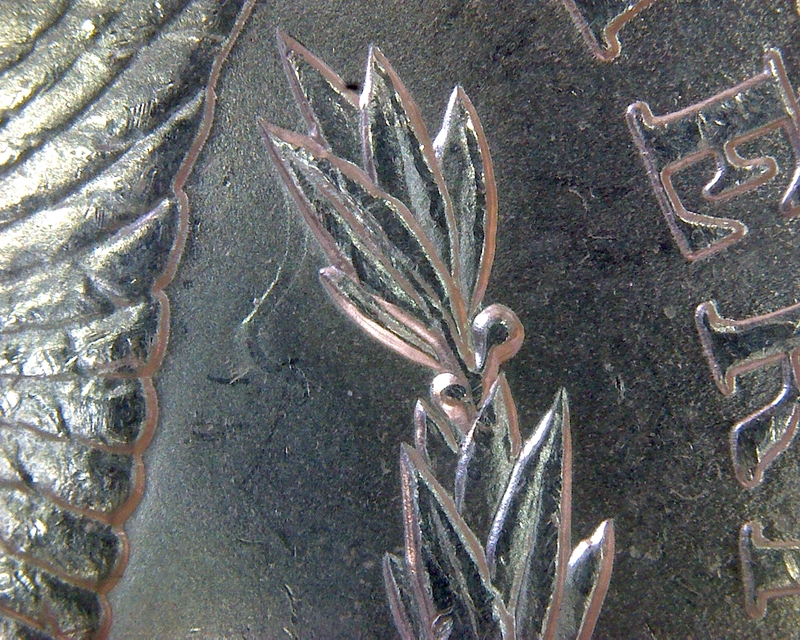 The mint mark is placed center, high, and tilted slightly right. 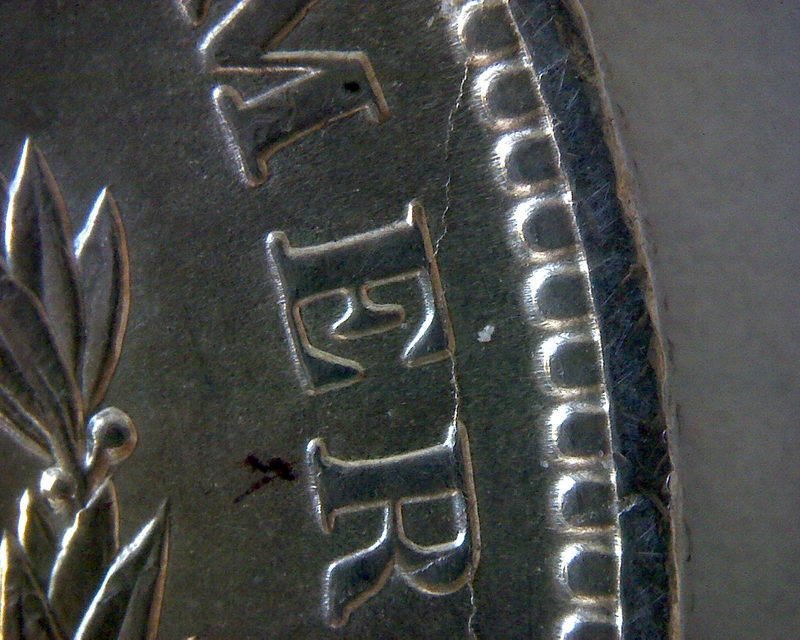 To the right of the "Black blemish" is a "Spike" which may aid in die identification. 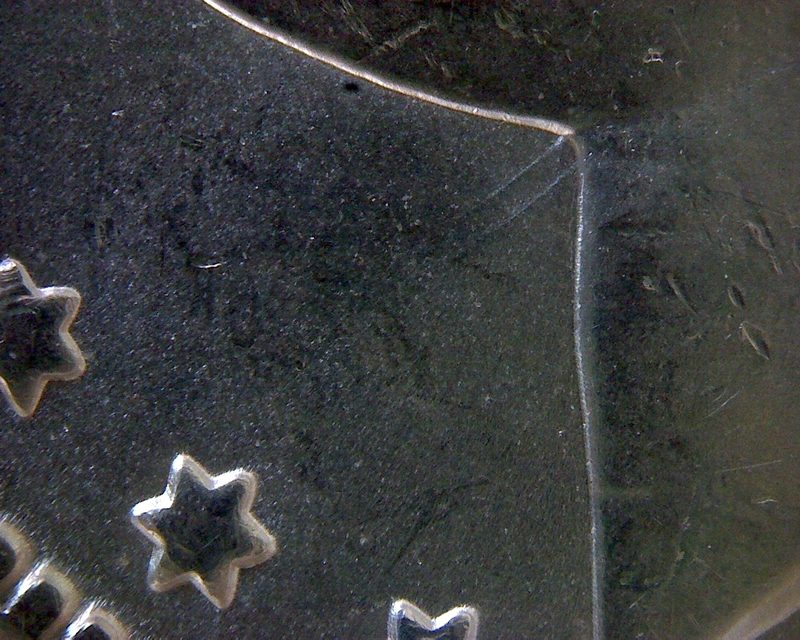 Field displacement may be forming along the crack at the top of "ERI". 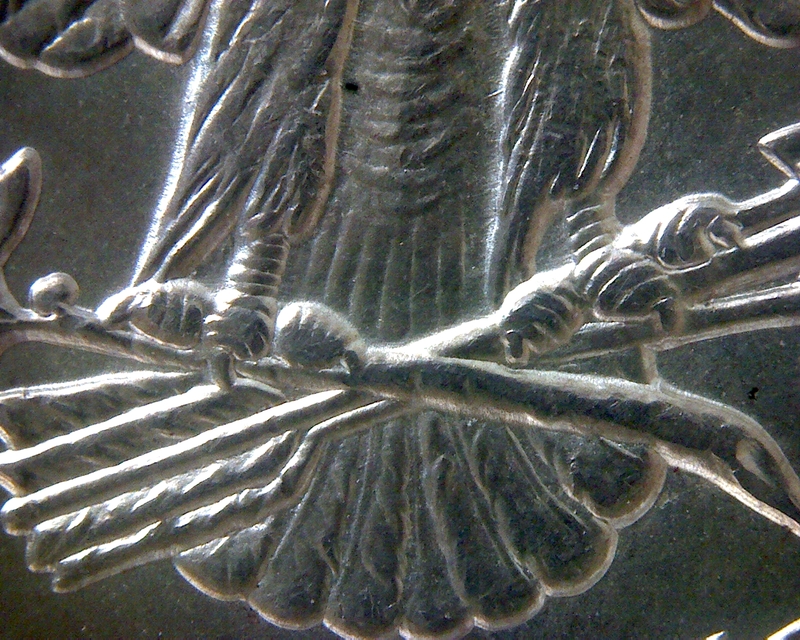 A diagonal line, located above the "elbow," crosses the wing gap. 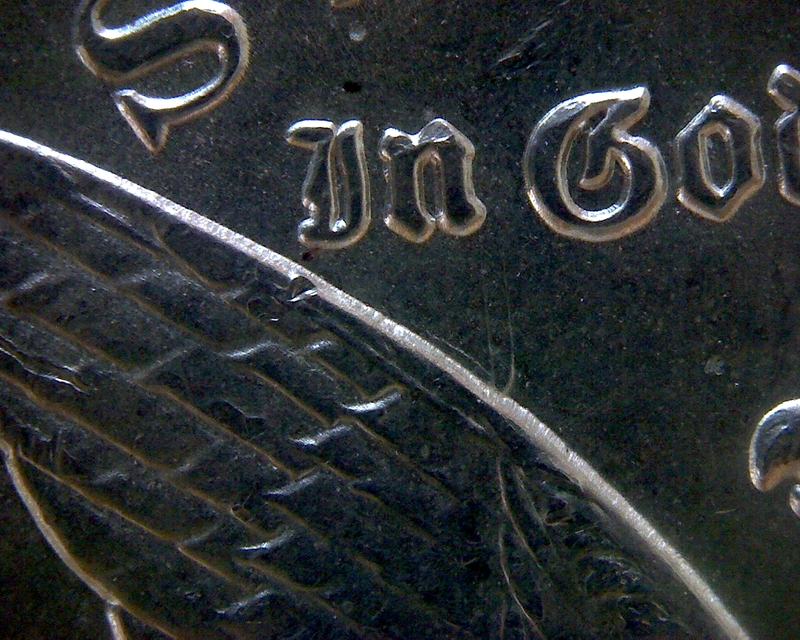 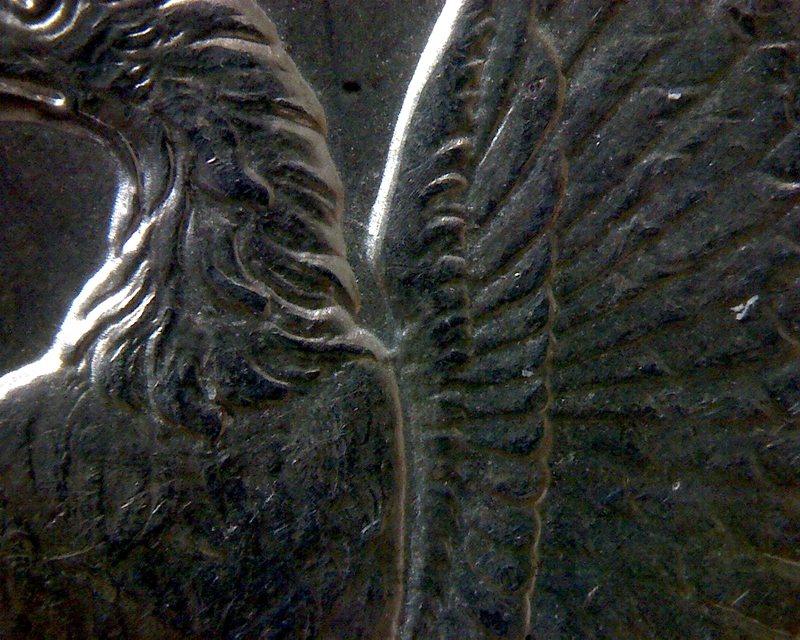 Neck clashes at the right wing indicate that two clashed "n"s are possible on the obverse; one clashed "n" entirely on the field and another partially on the field. 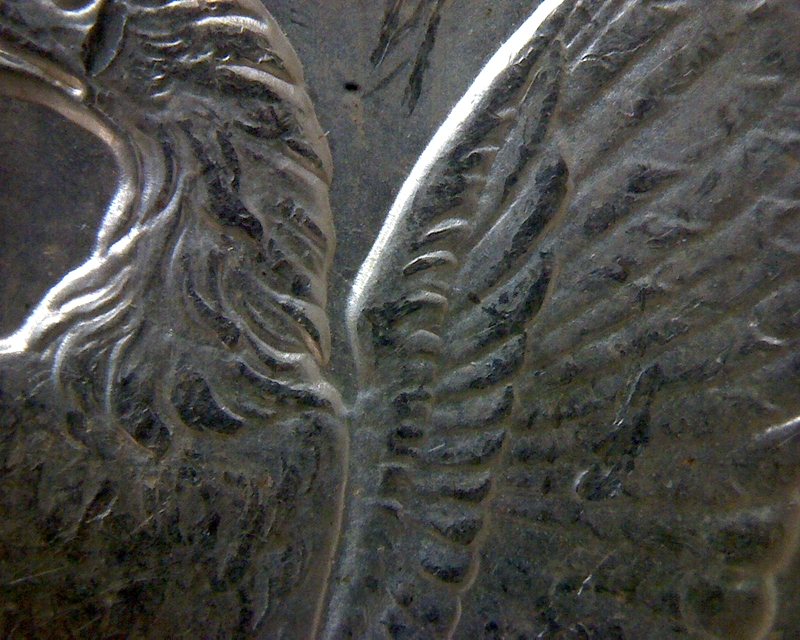 Coin 0916 may show a tripled clash Cap V. Counter clashes of both wing clashes along the neck line of the obverse supports that the 35A may be tripled clashed. 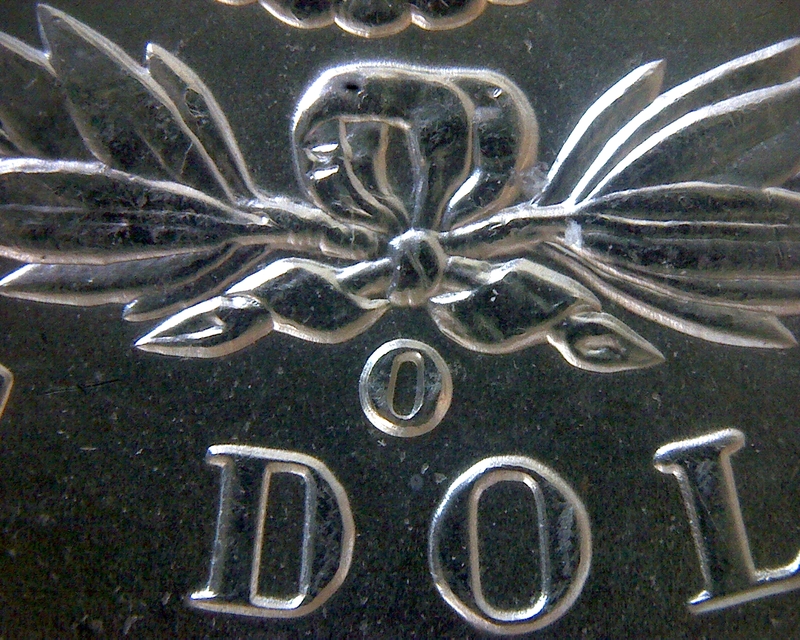 Double clashing of the nose profile is shown between the wreath and olive cluster.